Finally, fly boots that stay upright! 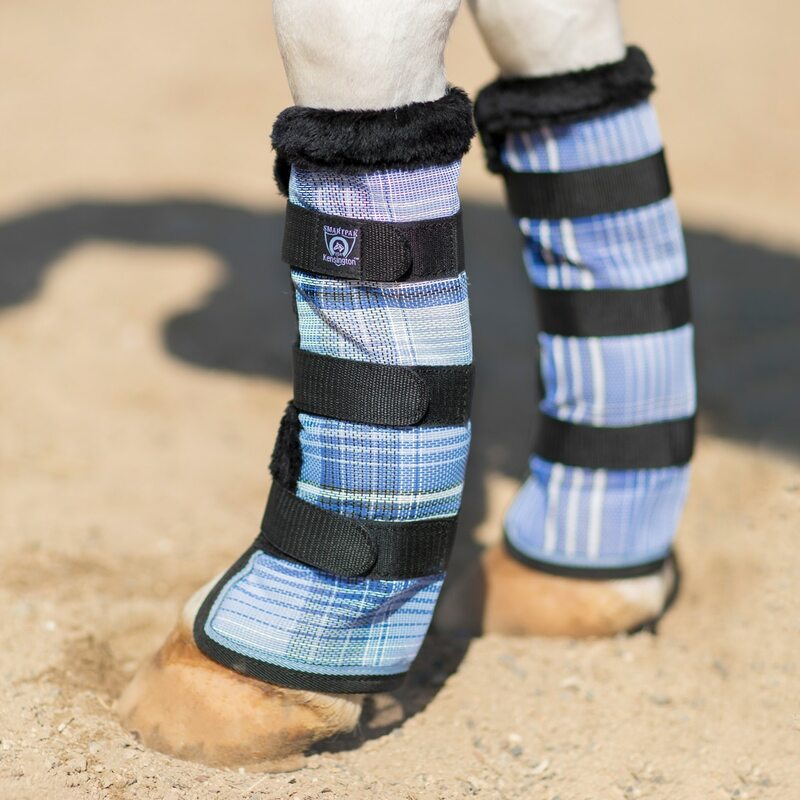 Can be used to protect wounds, as a covering over leg wraps, and for added protection when shipping. Boots measure 15" high and 12" in circumference. 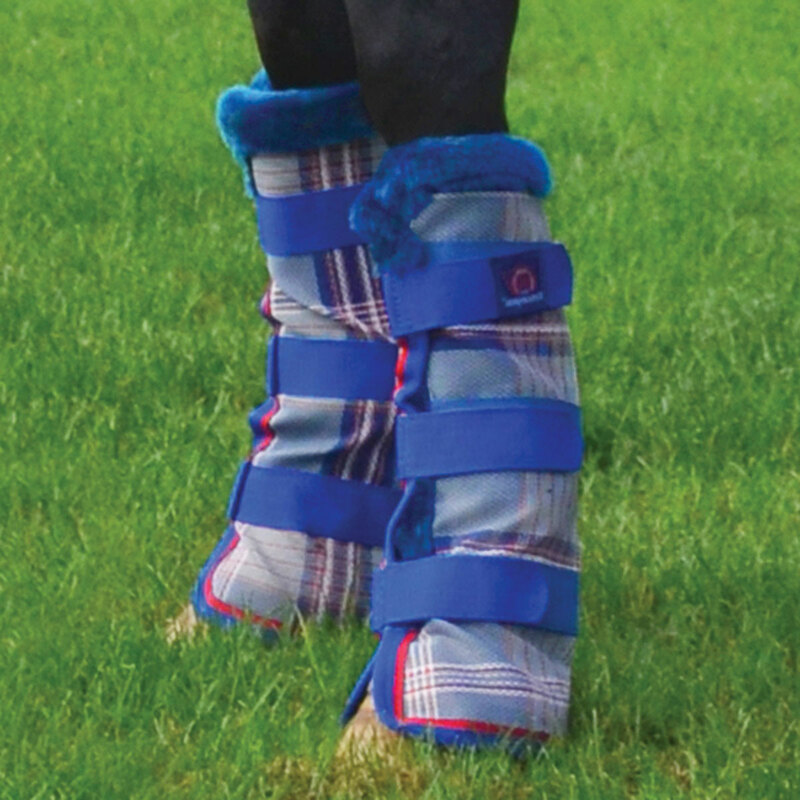 Kensington Fly Boots is rated 4.3 out of 5 by 248. Rated 1 out of 5 by MA_horsekeeper from Fall down, straps come undone. A waste of money. I have no idea why people like these. 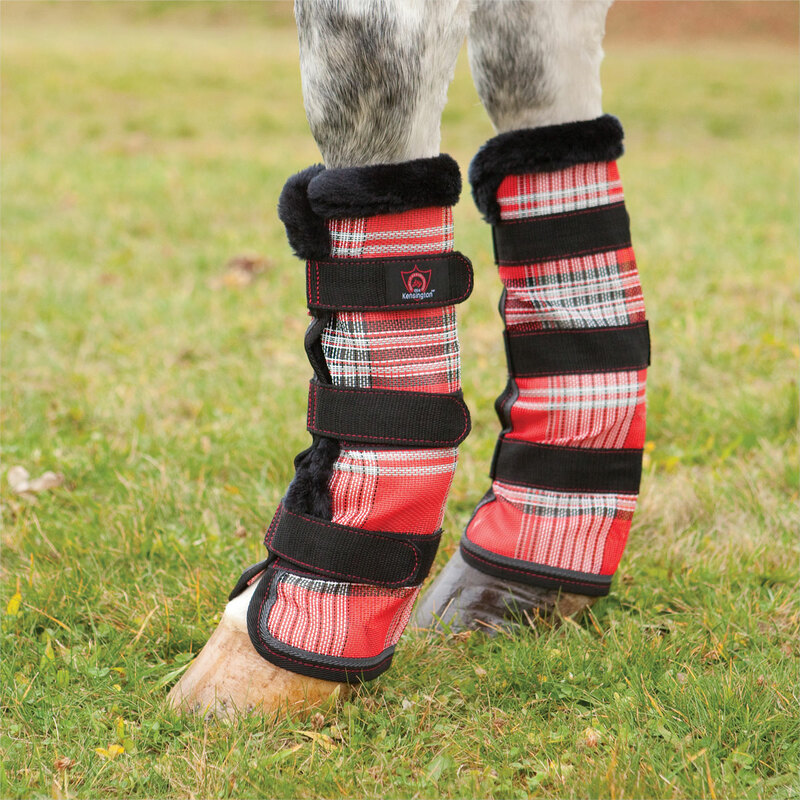 I have been using the Cashal boots on my young horse, and they spun a bit, but they stay up. These had great reviews, so I figured that I would try them. They are awful. 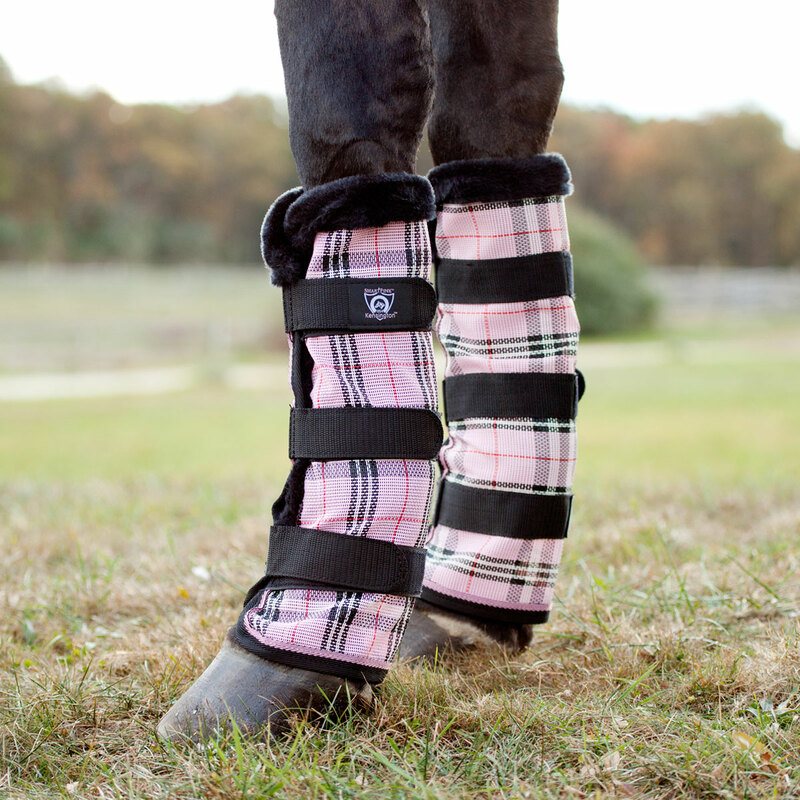 I put them on my young horse's back legs, and they cam halfway undone and were totally slipped down. Even on my old horse's front legs, they were twisted and slipped down. Rated 2 out of 5 by KRISTIN from Nice breathable material I was happy to feel the great breathable material these fly boots were however I put them on and the next day they had slouched down. They did not stay where they were supposed to. 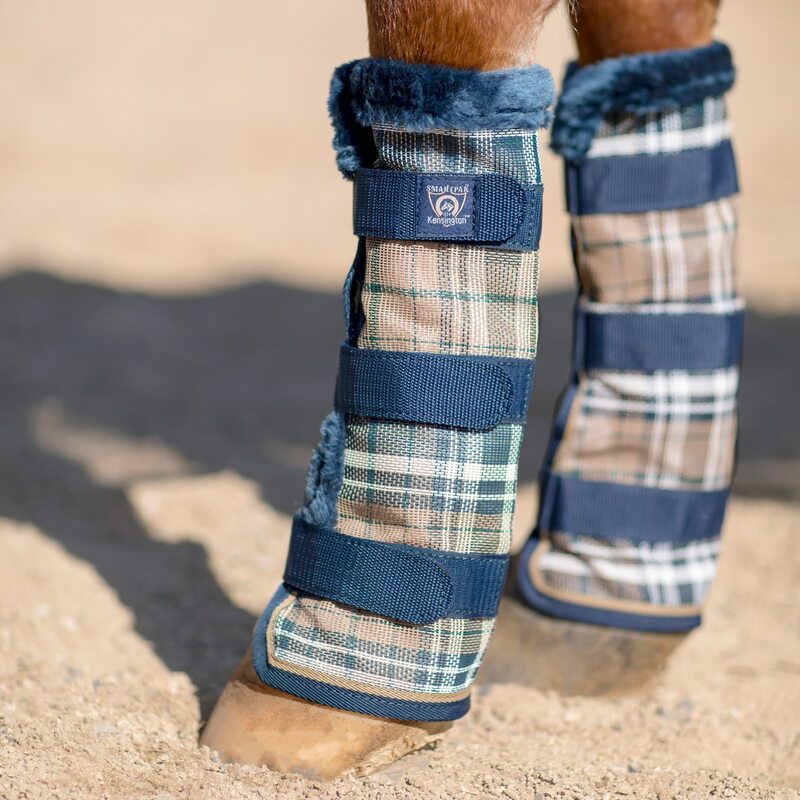 I tightened them so I still had a fingers with snugly between my horses leg and the fly boots and they still fell down. I was disappointed because they actually felt like they would hold up, but they didn't. Rated 5 out of 5 by Rebecca from Stays where you put them! 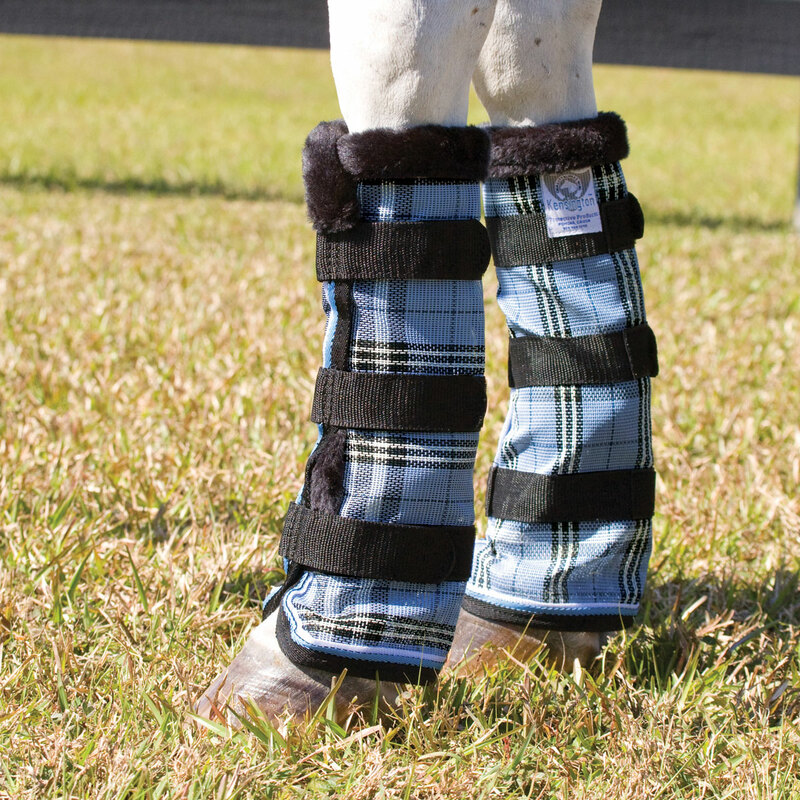 Well worth the money for these fly boots! My girl was stomping her feet so much she was getting cracked hooves! The velcro is strong and keeps them up. I would recommend these! 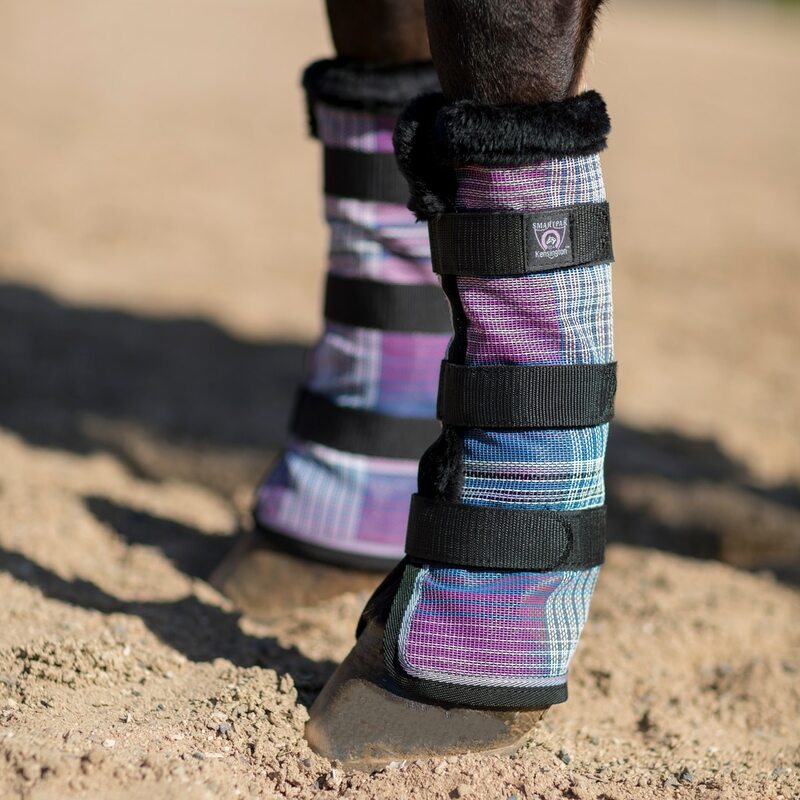 Rated 5 out of 5 by Ktleigh from Great Fly Boots I have been very happy with these fly boots, they stay upright and are comfortable on my horse! 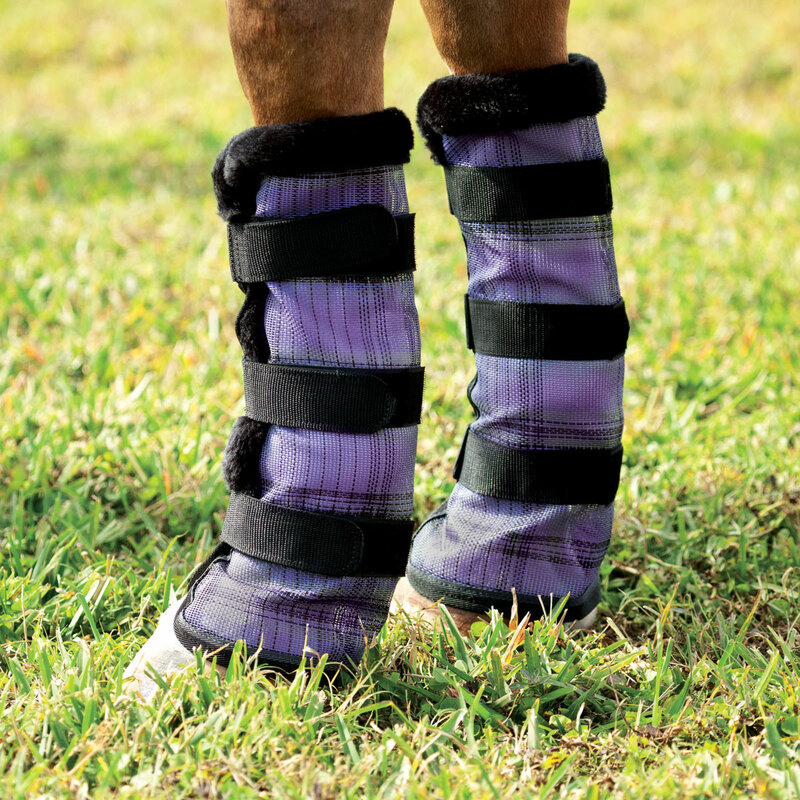 The Velcro is very secure, we have had all sorts of crazy summer weather and the fly boots have stayed on. Rated 5 out of 5 by cmarks815 from Great fly boots So far these fly boots seem to be of good quality! Rated 5 out of 5 by Redpony34 from Very high quality! 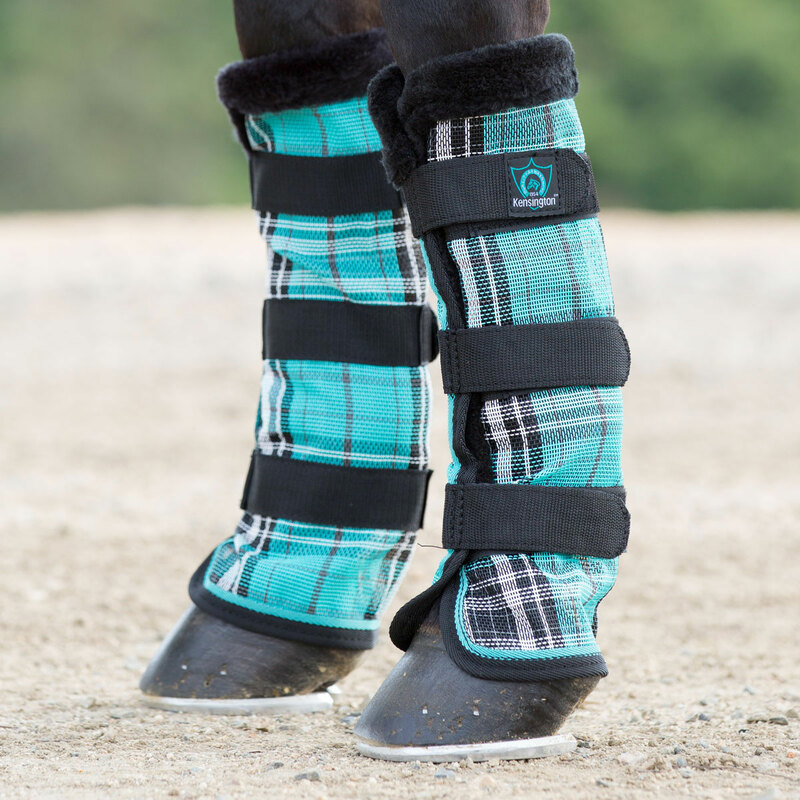 I love every feature of these fly boots down to the stitching! 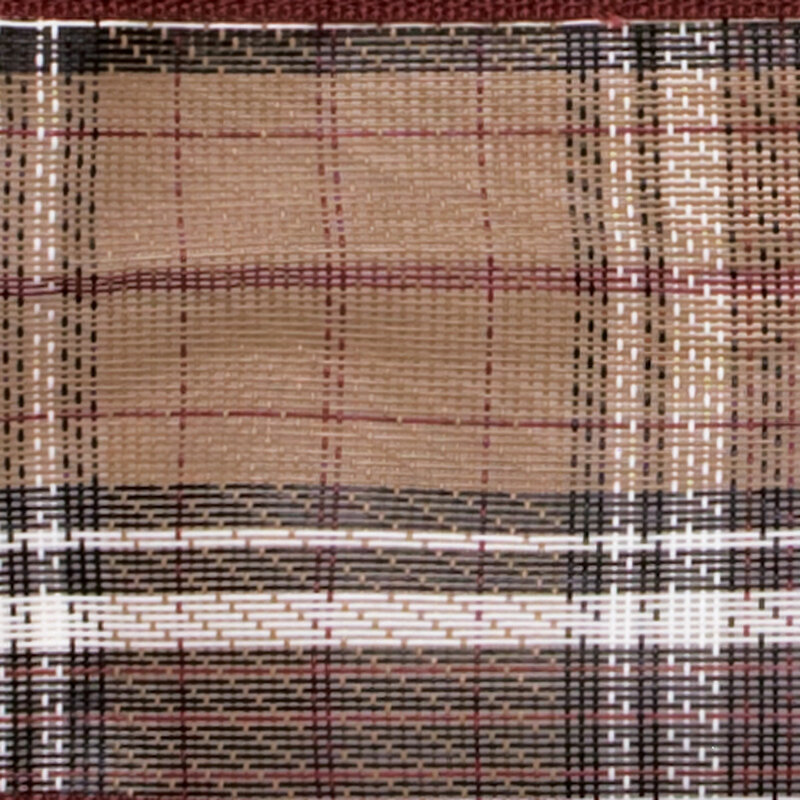 The mesh is thick and breathable, the color is bright and beautiful. They even outlast my horse trampling through the mud 24/7 without rubbing and they even keep his legs clean! And the best part the swarm of horseflies don't bother his legs anymore! Rated 5 out of 5 by Maverick from Love these! My horse lives to roll and play. These boots never come off and stay put. He is also a pink skinned horse so these protect against the sun. 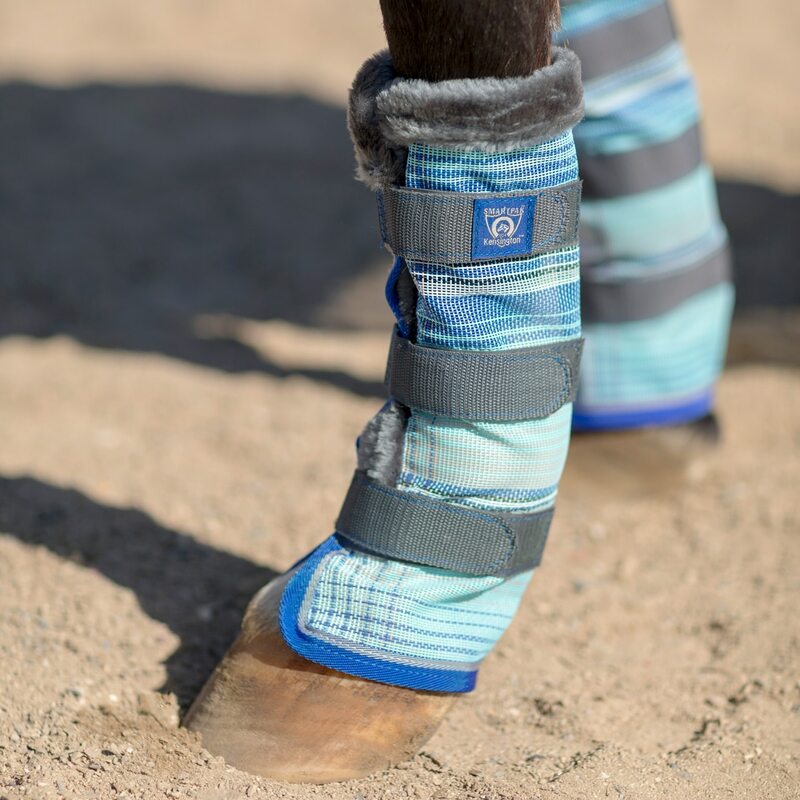 Rated 2 out of 5 by Gabriele from Don't stay up Within the first two weeks these boots starting rolling down and bunching up therefore starting to breaking the material in the folds. The Fleece part on top of the boot catches all grasses and weeds in pasture, and is hard to clean. Color and design is nice.